Ein Maboa or En Fawwar spring runs through the Wadi Kelt (Prat River) riverbed carrying water from the Judean Hills near Jerusalem to the Jordan River. This is a very easy hike, in fact there is hardly any hiking involved at all; rather the fun is in swimming in the spring pool. Each day an underground karstic cave fills up with subterranean water and only when the cave is full does it empty into a pool where the water remains for about 20 minutes before continuing on its journey. From the car park walk about 300 meters to an old British Mandate-era pumping station. Water flows out of the spring at this point into a pool which would have been part of the pumping station. After about 20 minutes the pool empties as the spring water continues on its course. In this area you can see the remains of ancient mosaics on the ground. A few meters downstream you can see the remains of an ancient aqueduct. Reach Ein Maboa via route #1, take route #458 north to Ein Mabua where you can park at the side of the road near the entrance close to the Allon settlement. This water trail follows the last part of the Meshushim Stream which flows from the Yehudiya Nature Reserve into the Sea of Galilee. The walk takes about 3 hours and much of the trail is in the water. This is not a loop trail so if arriving in one car you will have to make the walk back to your starting point after completing the route. The river is quit wide and about knee deep with gorgeous green trees and vegetation on both sides protecting hikers from the sun. At some points along the trail there is deeper water so bring water wings if you are with children who can’t swim. If the trail is too long for you it is possible to exit the water trail at several points and follow the road back to the parking area. The Majrasa is another water trail running parallel to the Zaki Trial. 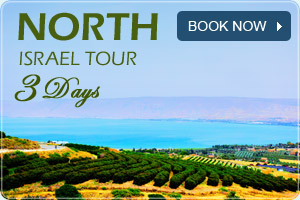 Reach this trail at the northern end of the Sea of Galilee; coming from route #87 on the western side of the Sea of Galilee, turn into route #92 at the Yehudiya Junction and then right at the Ma’ale Gamla Junction to Beit Zayda Valley. Access this water hike via Safed cemetery or the parking lot on the road to Mt. Meron. Together with the Monfort Trail this is one of the most beautiful trails to follow in Israel. Meandering through the green Galilee following a perennial stream and passing by a Crusader Fortress, mountains and a spring tunnel. There is an easy 6km circular route which requires some climbing towards the end but is suitable for all ages. There are other trails here which are not circular. You can enter the ancient spring tunnel (Ein Tamir) if you want but be sure to bring a flashlight. The Spring Tunnel ends in a dead-end so you have to double back to get out. This is a wonderful place to see wild flowers especially in spring (April-June). Reach Nahal Kziv from route #89, at the entrance to Mitspe continue another 200 meters on a dirt road until you reach the parking lot. This water hike takes you through a landscape of HaZorea Forest and greenery of the Ramat Menashe Biosphere Reserve in the Mount Carmel area. It is an easy hike suitable for the whole family and can be completed in 1-2 hours. Part of this hike trail is fully disabled-accessible. The water flows in this stream year-round starting near Kibbutz Ein HaShofet, joining the Kishon Stream southeast of Kibbutz HaZorea. There are several routes you can take but the most popular one is a circular route. Reach Nahal HaShofet via the Yokneam-Megiddo highway #66 and between kilometer 28 and 29 take the exit southward into the HaZorea Forest and on to the parking lot.